There’s hardly anything I can think of that I like more than fresh warm homemade bread just out of the oven. The scent, warm and yeasty, melt-in-your mouth texture and homemade jelly smothered on top. Can you tell I’m hungry? 1. Always store your yeast in the fridge. When yeast is exposed to oxygen, humidity, and heat it looses some of its activeness. 2. Proof your yeast. This is in regards to active dry or instant yeast, not rapid rise yeast. If you do this with rapid rise yeast it will lose its fast rising action and require two traditional rises. I only use active dry yeast. Proofing means dissolving your yeast in warm water and letting it sit for 8 to 10 minutes. It will become bubbly, letting you know it’s active. 3. Use warm water. Simply use the inside of your wrist to test your water, it should be lukewarm to warm. If it’s cold, the yeast won’t activate. Too hot, it will kill the yeast. 4. Never use a metal bowl. There are a few reasons for this. 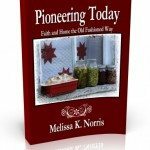 Metal can act as poison to the yeast (note:to the yeast, not people), killing the yeast and affecting your rise. Secondly, metal doesn’t retain heat the same way glass, wood, and plastic bowls do. It cools off much quicker, killing the yeast and ruining your rise. 6. Add vital wheat gluten when using whole wheat flour. This is up to the individual baker, but I recommend using a tablespoon per cup of flour. 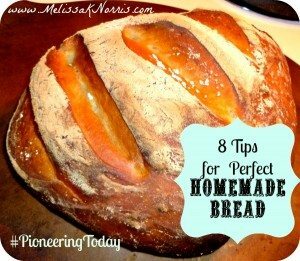 This will help the texture of your whole wheat bread from being too dense. You can purchase it at bulk in the natural food section of almost any store. It looks like a finely ground flour. 7. Allow dough to rise in a warm draft free area. The top of your fridge is a good place to allow your dough to rise. The heat from the appliance keeps it from becoming cold. Some people use the inside of their oven with just the oven light turned on, but I often need to use my oven so I prefer the fridge. 8. Cover your dough while it’s rising. You want to keep your yeast happy and it’s happy when it’s warm. Be sure to use a breathable towel over your dough while it’s rising. I use a tea towel. No matter what recipe you use, these tips will serve you well as you bake bread, cinnamon rolls, and dough. Now that we’re all drooling over bread, here’s three of my most viewed bread recipes. What’s your favorite bread? Do you have any tips to add? 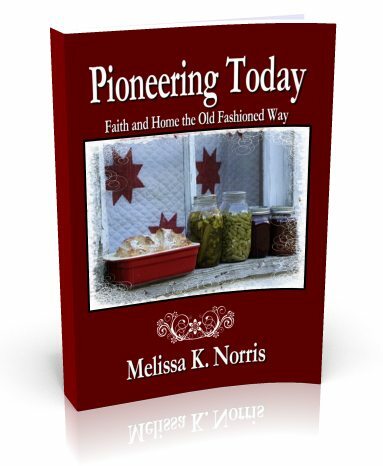 Read the first chapter of Pioneering Today-Faith and Home the Old Fashioned Way for over 40+ traditional recipes and tips for simple living and gardening. Previous Post Does Your Self-Image Need Refined? Next Post Feel Like You Never Have Enough Time? Read this.